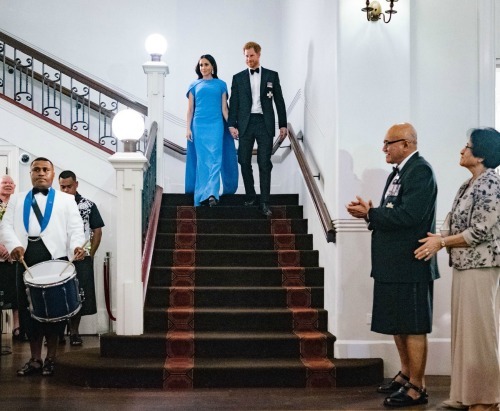 It looks like Meghan Markle has managed to impact royal life in more ways than one. As a matter of fact, there’s a new report that suggests Prince William and Kate Middleton have become more demonstrably affectionate in public now that Prince Harry and Meghan Markle are making headlines for their PDA during their royal engagements and public appearances. The Duke and Duchess of Cambridge often looked reserved and distant with one another whenever they made their public appearances together. And that’s not because they were dealing with any issues behind palace doors. Instead, they were simply obeying royal protocol and avoiding any sort of unnecessary public display of affection. But all of that has changed in recent months, especially since Harry and Meghan seem to be very open and affectionate with one another. One royal observer believes that Harry and Meghan’s very public display of love is forcing William and Kate to change the way they behave towards one another, too. Just last week Kate Middleton did something that no one has ever seen her do before and that’s put her hand on Prince William’s inner thigh during Princess Eugenie’s royal wedding. If that weren’t enough, Prince William also kept his hand on top of Kate’s throughout most of the wedding ceremony and of course, in clear view of the cameras. At this point it’s safe to say that The Duke and Duchess of Cambridge are simply trying to keep up with Harry and Meghan. They might no longer be in the honeymoon stage of their marriage, but even after three children, William and Kate apparently want to show the world that they still love each other and that there is a flame that is going strong in their marriage. Of course, Buckingham Palace is yet to make any comments about the sudden PDA from both young couples or royal protocol for that matter. In the meantime, don’t forget to check back with CDL for all the latest news on the Royals right here.